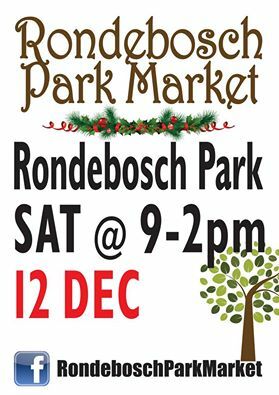 A lovely outdoor craft and gift market in the heart of Rondebosch that is family friendly (both children and 4 legged friends). Walk around the park and peruse jewellery, woodwork, bakes, beads, leatherwork, Christmas decorations, sunhats, jams and much more or sit with a cup of coffee and a bite to eat. There will be a sword throwing demonstration at 11am.